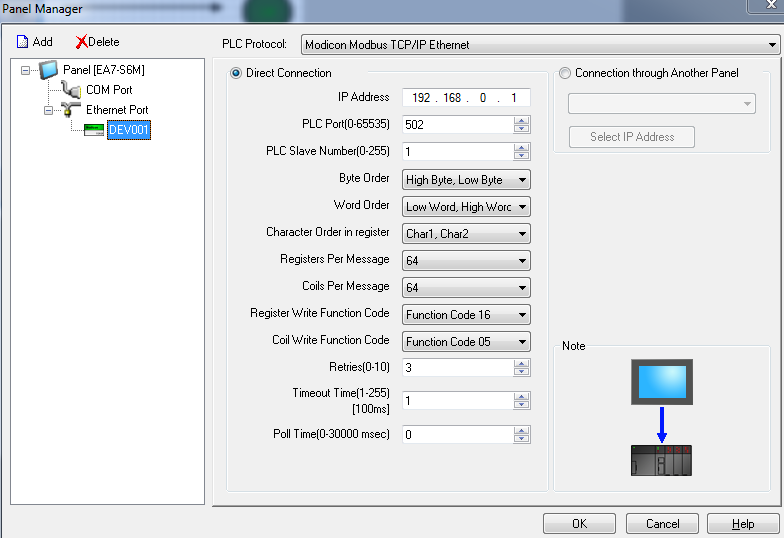 I am trying to connect a C-More screen to a Micro850 PLC using Modbus TCP/IP via a crossover cable. 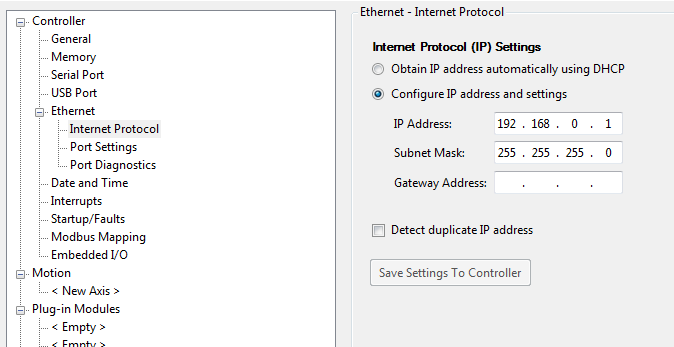 I can get it to connect and transfer data if I allow the Micro800 to obtain the IP automatically using DHCP and then copy that IP Address over to the C-More. It shares all data just fine, no issues. However if I try to use a static IP I can't get either to communicate. I've followed the AutomationDirect bulletin, at http://support.automationdirect.com/docs/an-ea-015.pdf. I know it can function, I just think I'm missing something with the addressing. Could anyone provide an IP and an explanation for me to try out? What is the IP address that you have setup for the Cmore panel itself? 192.168.0.? You can set this up in the project (touch panel network) or via the panel directly. If you have an urgent issue, please contact AutomationDirect's Technical Support team. I am using the same address, 192.168.0.1. It seemed a bit odd to use the same IP, but that's what the Technical Bulletin stated. I thought the same thing, however in the AutomationDirect bulletin for setting this up they state to use the same IP. Unless I'm missing something, but the examples given show the same IP. yes, for communicating. 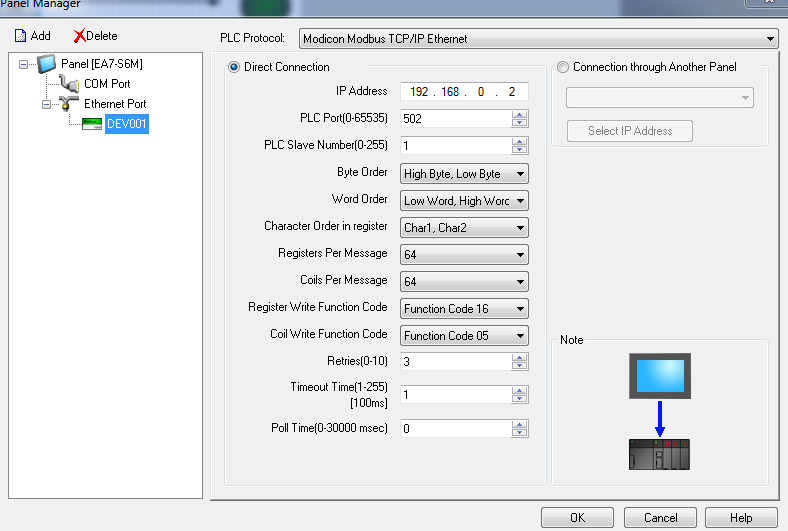 But the actual IP of the HMI, this setting is done under Touch Panel Network. What do you have there? 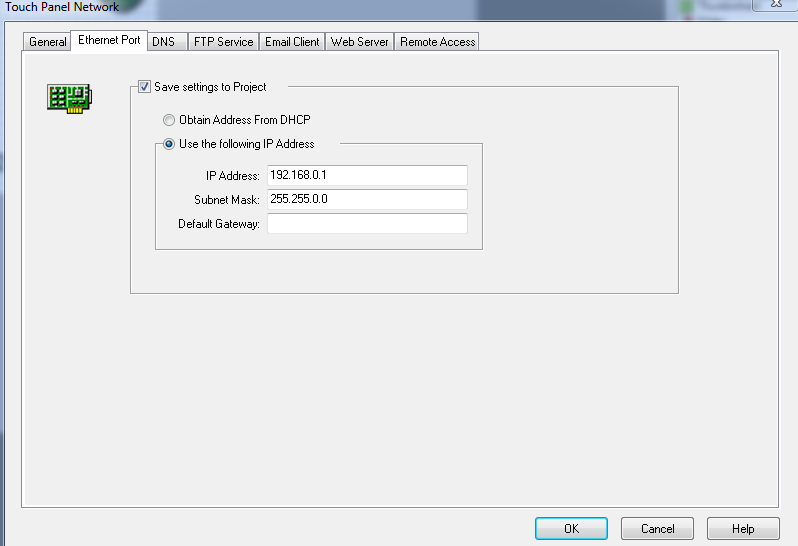 What that statement is saying is in Panel manager the IP address needs the same IP address as it is setup in you PLC. The actual panel IP address is it's own separate IP address. Just change you panel IP address to 192.168.0.2 and all should work. Ahh, I just noticed the Touch Panel Network. At the moment it is empty. Would I have the Touch Panel Network IP = Micro850 IP? If needed, give our tech support a call, they will get you up going quickly. Edit : Thank you both! The help is greatly appreciated!